Last year I reviewed the MaskGenie facial mask subscription service and ‘cos masking never stops I’ve been back to purchase some more. So this is what you might find in a typical MaskGenie monthly pack. 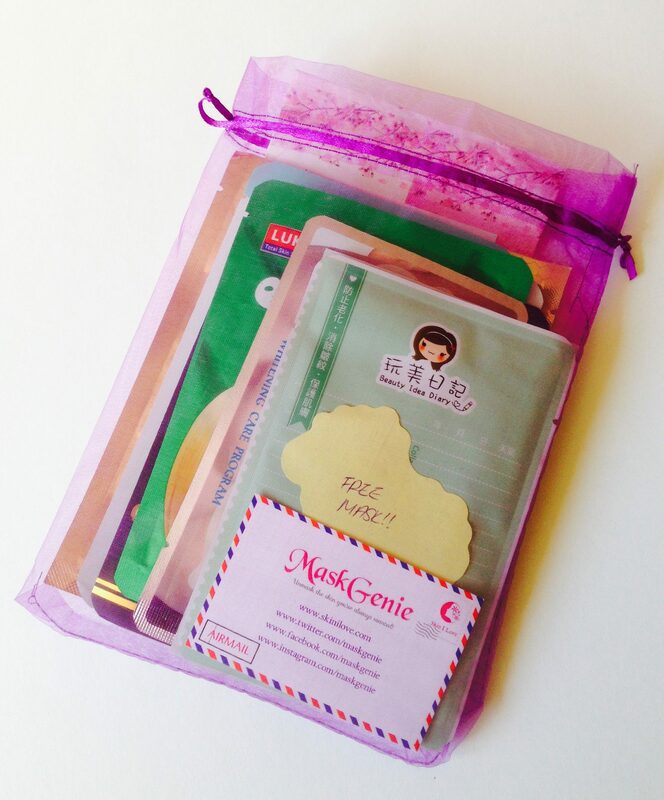 MaskGenie is a monthly subscription service run by Genie, a mother of two based in Hong Kong. 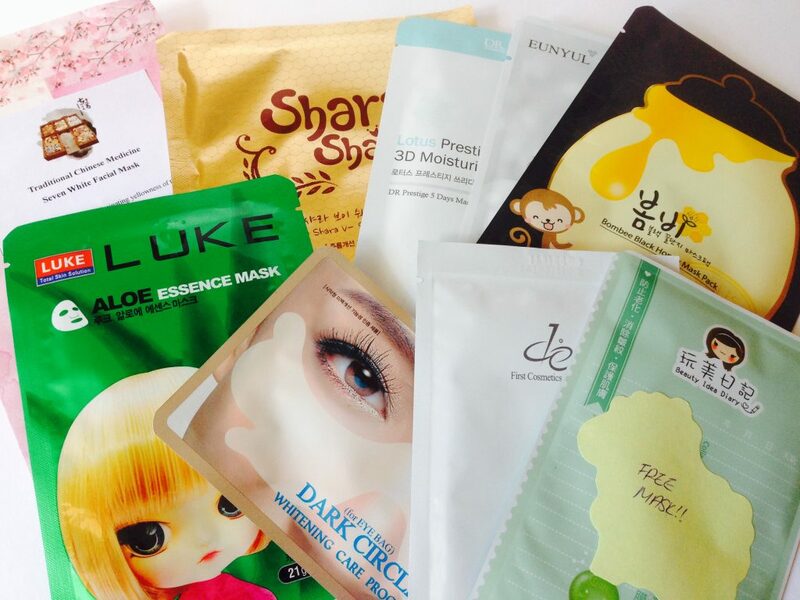 Genie hunts down the latest, innovative releases, tests them out herself, and curates a pouch of 8 to 10 masks. It’s like having a personal shopper who’s really, really into masks. They’re mostly sheet masks, but you might also get wash off, hair or eye masks. Traditional Chinese Medicine Seven White Facial Mask – I’m most excited about this traditional Chinese herbal mask. It’s made in Hong Kong from 100% natural ingredients and is good for brightening the skin. Apparently this mask formula was beloved by the Empress Dowager Cixi and many Imperial consorts, which could be total hokum but I like a product with a story to it. de1 Collagen Moisture Mask – This is a plant collagen mask from Taiwan. It won’t actually do anything for the collagen in your skin, but plant collagen is excellent for moisturising. Also contains fermented ingredients. Fermented skincare hasn’t really make it to the West yet and I don’t know if it ever will because the scents can be a little – er – challenging. It’s a shame because fermented skincare is fantastic. GET ON MY FACE. Eunyul Natural Moisture Mask Pack in Pearl – This Korean sheet mask contains 1000 mg of pearl powder to help brighten and moisturise dehydrated skin. Papa Recipe Bombee Black Honey Mask Pack – One of two propolis masks in the pouch. Also contains honey, royal jelly, grapefruit seed extract and something called peat water. What even is that? Whatever it is, it’s good for your pores apparently. Shara Shara V-Shape Royal Mask – A super shiny mask from Korea, also made with propolis and royal jelly, this time with a little added niacinamide. It has an added neck piece, so this is a good one if you’ve gotten a little sunburnt around the decollete. I never find that neck masks do very much, but they do force you to lie down when you’re using them and who doesn’t need an extra nap? Dr. Lee Lotus Prestige 3D Moisturizing Mask – Another interesting looking sheet mask which makes a big deal of the fact that it contains German water. Is German water a big deal or something? Can I even use this post-BREXIT? The Ylang Gallery Dark Circle Whitening Care Program – A very pretty eye mask, butterfly shaped so it can sit across the bridge of the nose and target eye bags. Luke Aloe Essence Mask – I think this one has the best packaging of all, with a pensive-looking big-eyed child staring out. It’s like it’s judging you for daring to take time to yourself to put a mask on. Deal with it, sister. This has a whole ton of wonderfully strange sounding ingredients including aloe leaf juice powder, cucumber, potato and willow bark extracts. Beauty Idea Diary Collagen Polypeptide DNA Anti-Wrinkle Mask – This was an extra free mask, popped in just for funsies in the August pouch. Again we see plant collagen, plus several peptides. I’ll be nothing if not well-moisturised in September. I bought this pouch for $23.99 (around £18) from MaskGenie at SkinILove . 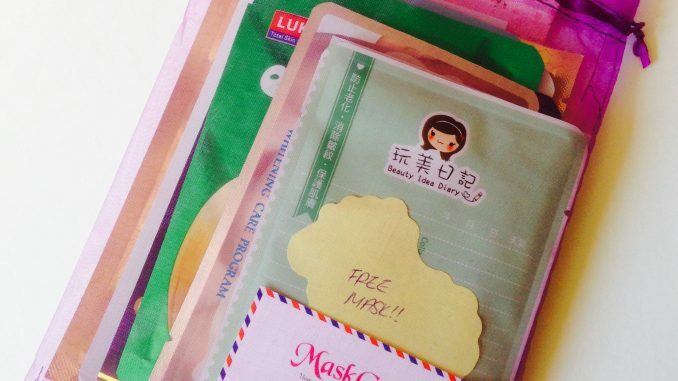 Each monthly mask pouch contains 8 to 10 masks and is shipped out around the 10th of the month. The mask selection is different every month and will not necessarily include the masks shown above. It is not an ongoing subscription and you can purchase a single pouch if you want to.